Repsol Honda will not make a debut with the pneumatic valve engine at Catalunya this weekend, but simply reserve two days of testing after the Grand Prix. One of the reasons is the fact that Hayden and Pedrosa are not familiar with the new engine as they haven’t tested it since winter and although Tadayuki Okada made an incursion on it in Mugello and even got a 14th place, the team isn’t willing to risk anything at all. Dani Pedrosa wins the German Moto Grand Prix. Dani Pedrosa dominated the 30 lap German Grand Prix and obtained Honda’s first ever 800cc with advantage of over 13 seconds, this being the biggest official dry victory margin. 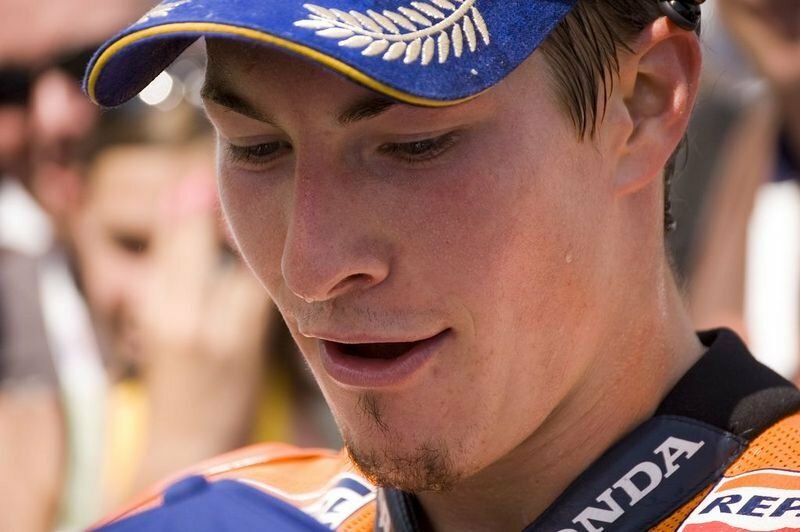 Nicky Hayden’s championship chances took a blow Sunday as his team-mate Dani Pedrosa made a mistake and crashed taking him with him too.